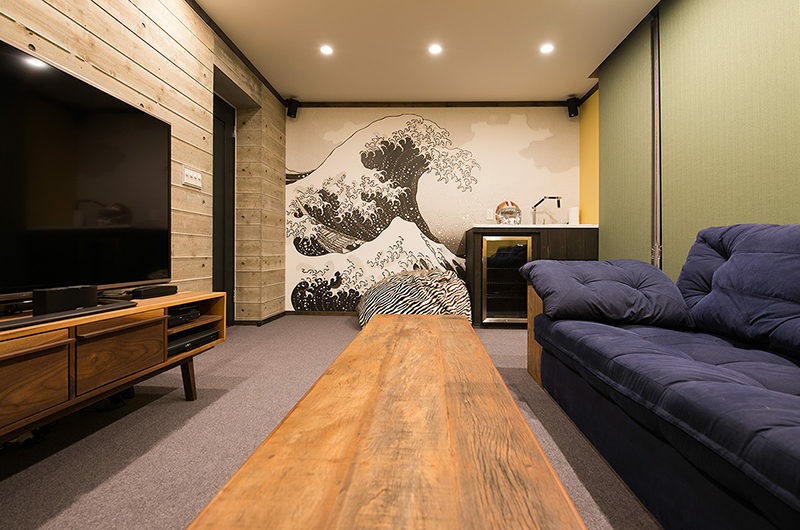 Gustav’s Hideaway is huge three-storey property designed for two-families to holiday in at the same time. 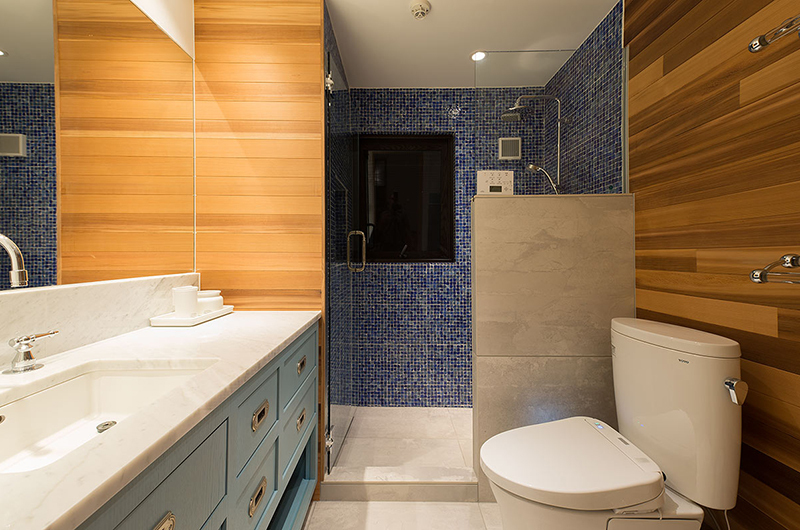 It packs a lot in between its four walls, ensuring this really is somewhere you can get away from it all. 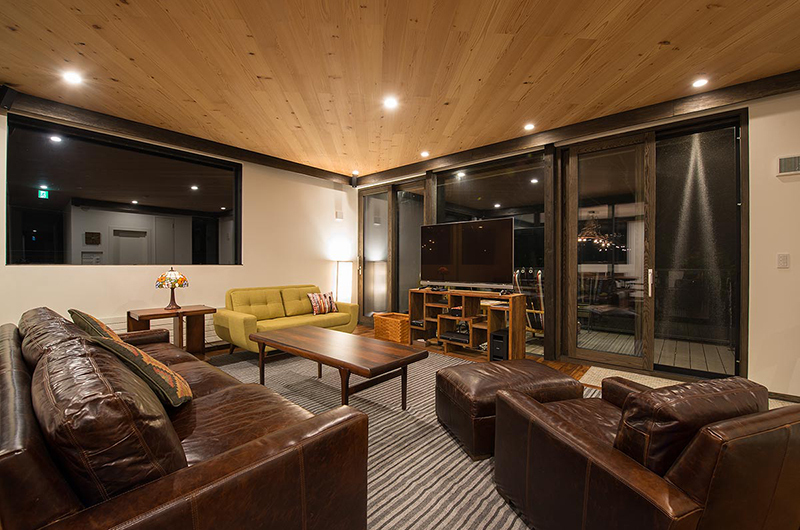 Along with 4 bedrooms it comes with a media room, big deck off the living area, outdoor jacuzzi, and even a small quiet office space. 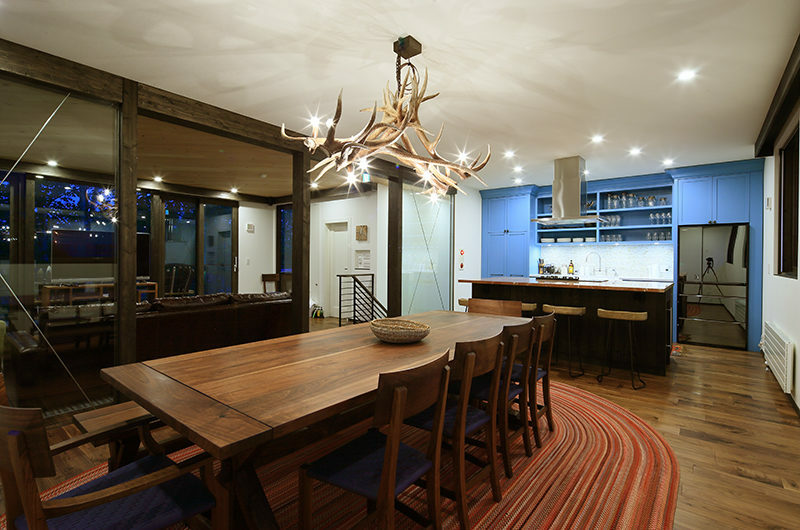 This secluded stay includes lots of entertainment room and ensures your group has fun on and off the slopes. 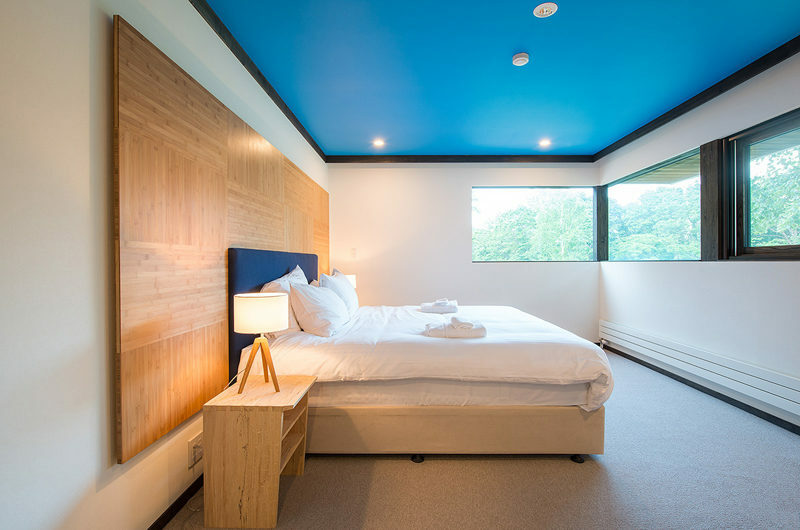 The custom furniture and décor of the house is unique in Niseko, playing with a range of bright colours across the property and some very funky furnishings. 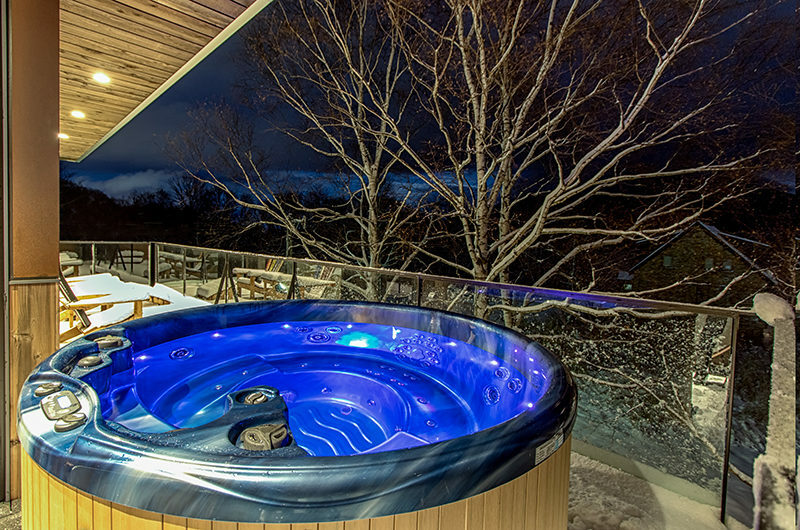 I suppose you could say it’s a fun luxury as opposed to the standard luxury of much of the rest of Niseko’s upmarket properties (not that there’s anything wrong with that!). If you’re with a group of friends, you’re guaranteed to get some great social media snaps in this one! 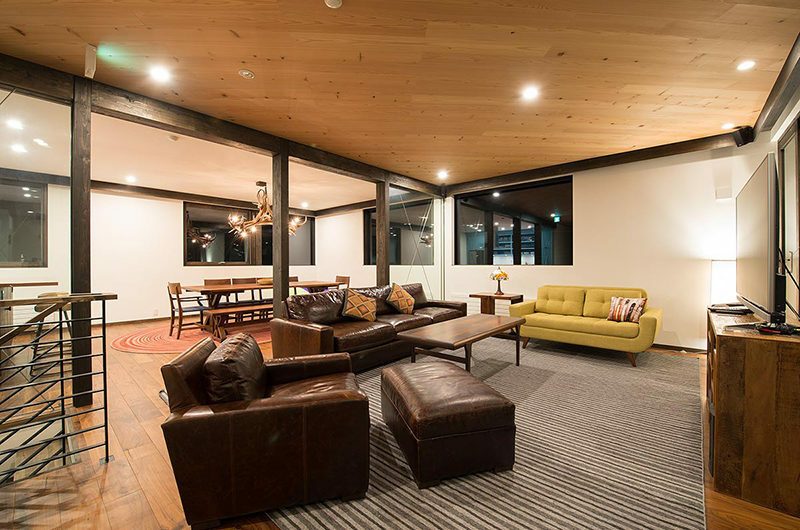 The living and dining room on the top floor cleverly segregates the different areas of the room, while retaining a sociable open plan format. 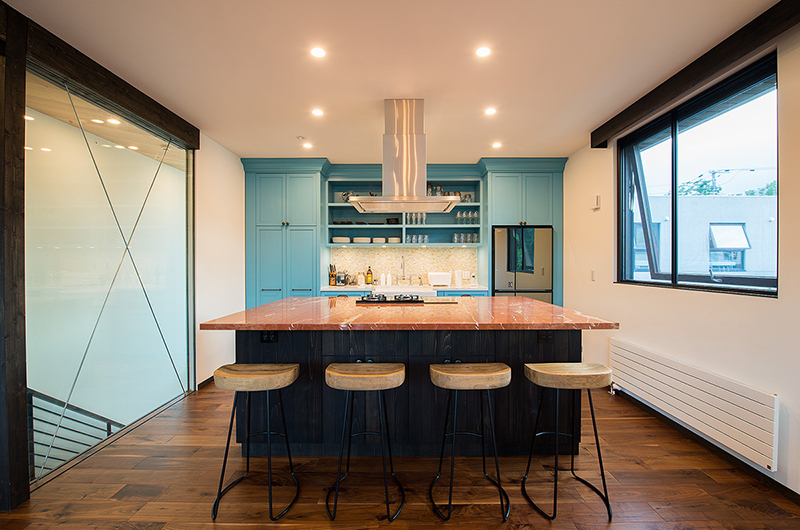 The kitchen comes with everything needed to cook a meal to rival local restaurants (theoretically). The dining table seats 12, while the lounge suites around the TV can seat another half a dozen bodies. 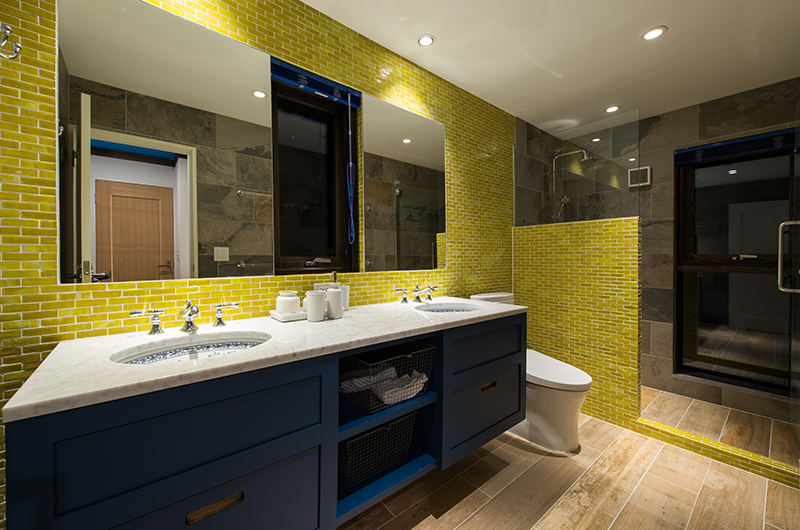 The chalet has four bathrooms, one of them en suite to the master bedroom. 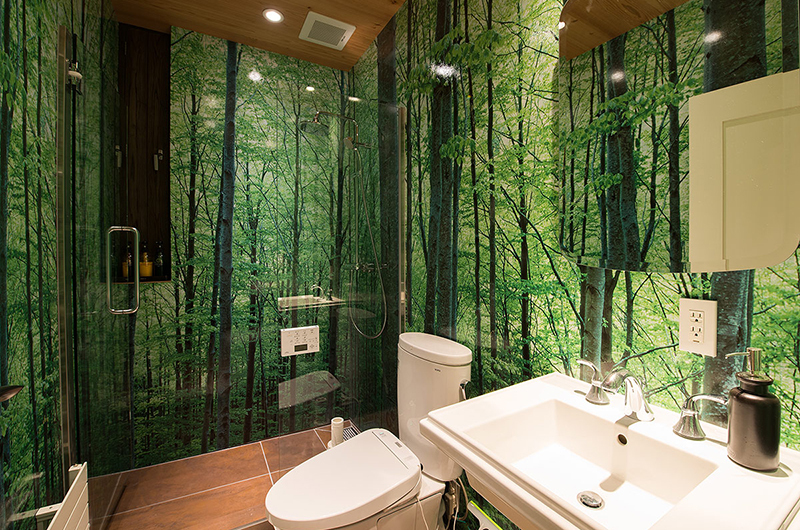 You’ll love the different colours and materials used in each bathroom – especially the forest wallpaper themed bathroom on the top floor! 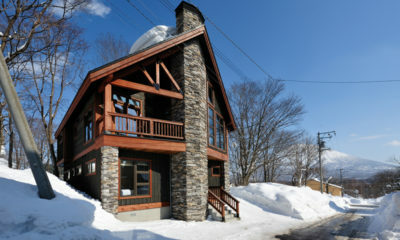 The property comes with a large ski storage and drying room, as well as laundry with washer and dryer. There is parking for one car. 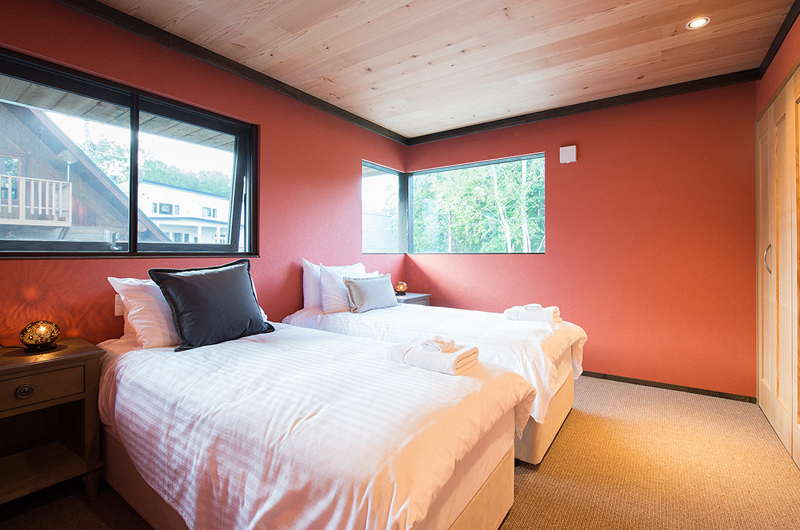 The master bedroom is on the first floor, features views across the forests of Lower Hirafu, a walk-in closet and uniquely decorated en suite bathroom with shower. Second bedroom is on the first floor, features two single beds, individual closet space and windows looking out over Lower Hirafu Village. Next door to bathroom and office space on the first floor. 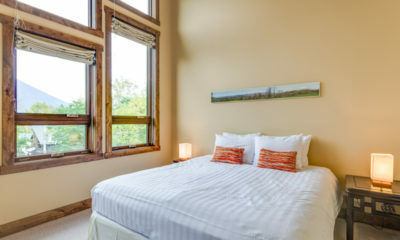 Third bedroom is on the first floor, features one queen single bed, smaller individual closet space and windows looking out over Lower Hirafu Village. 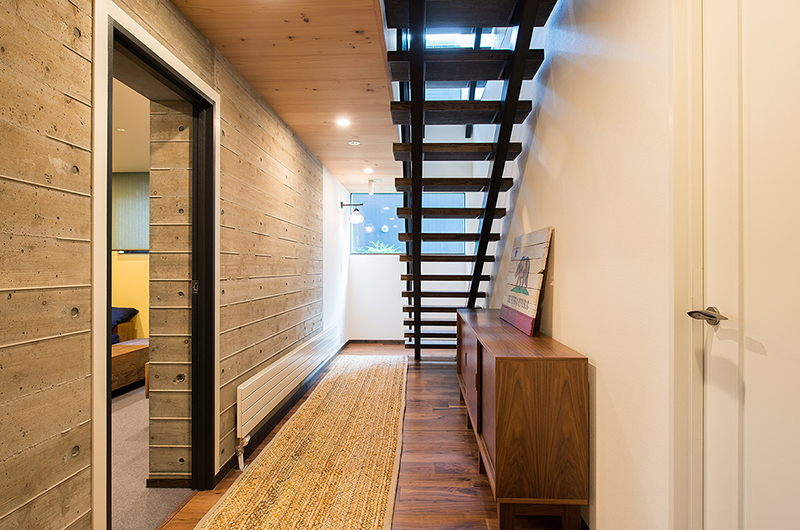 Next door to bathroom, hallway storage space and staircase. 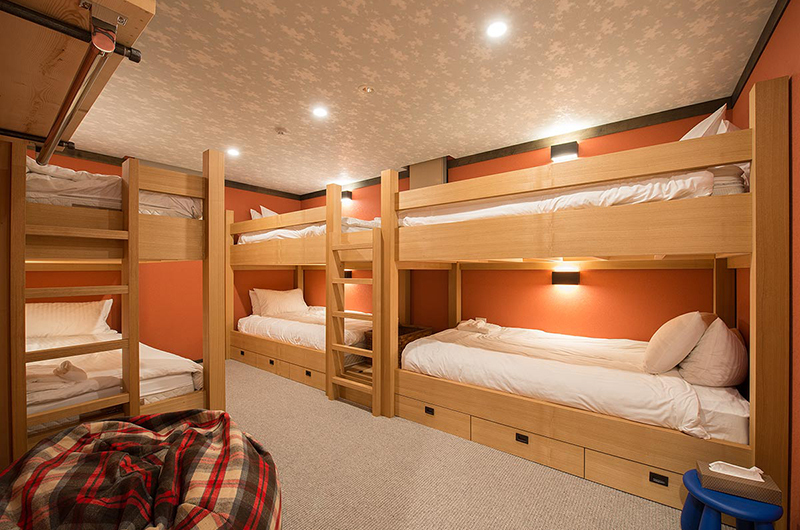 Fourth bedroom is on the ground floor and features 3 bunk beds, sleeping up to six guests. 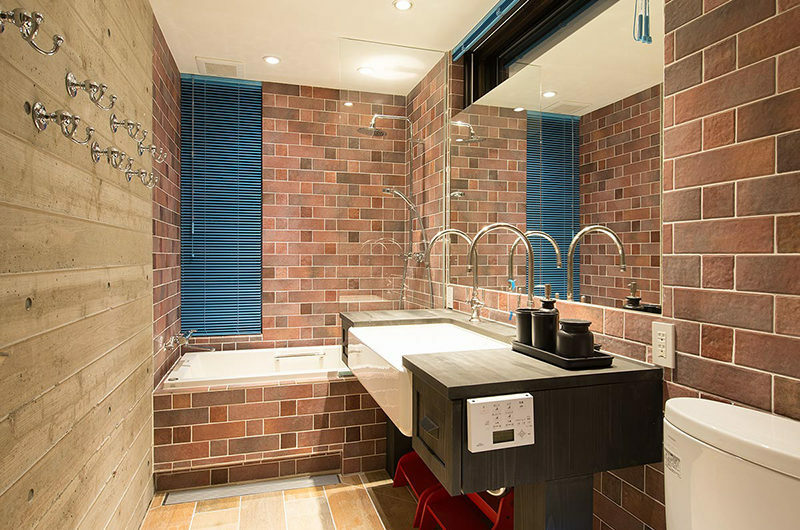 Nearby the entrance, laundry, and uniquely decorated bathroom with bath tub. 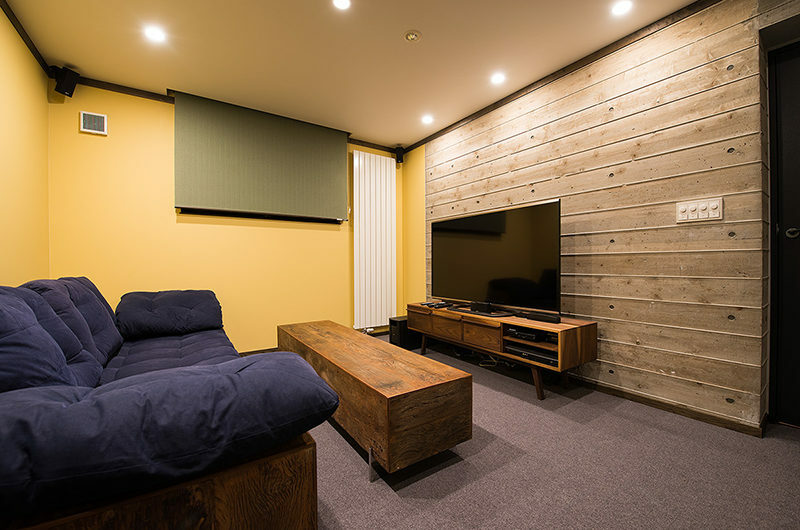 The media room is acorss the hall – a great space for children. 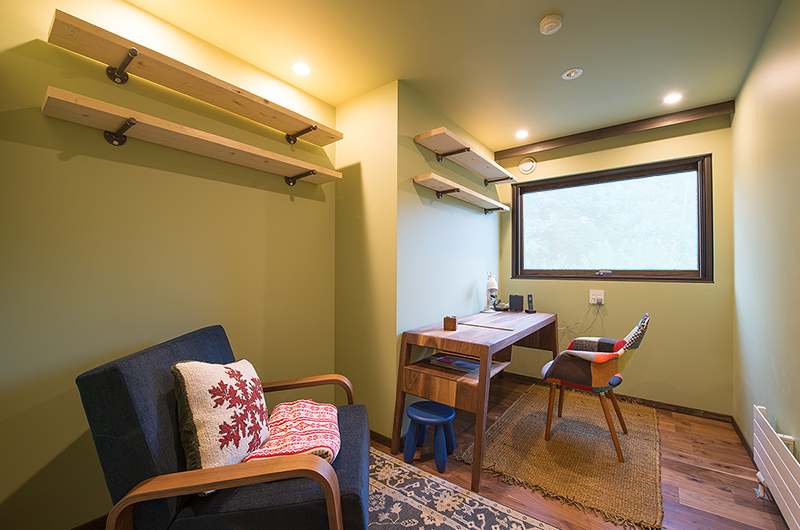 Gustav’s Hideaway is located in the quiet lower end of Lower Hirafu Village. While it may not have centre-of-town convenience, that’s not really what you want in a hideaway is it? 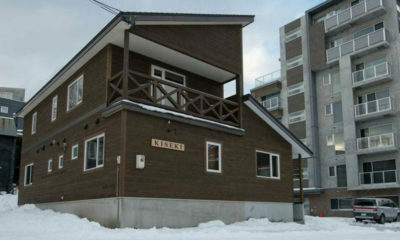 Instead of the high-rise jungle of Upper Hirafu, enjoy forests, other chalets and cabins, and fields of powder. 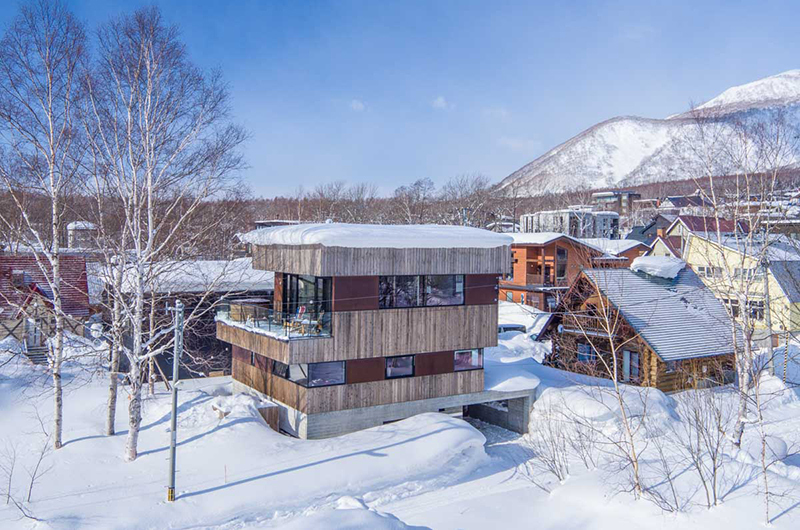 It’s one of the closest properties in Niseko to Mt Yotei, giving it window-frame filling views of Mt Fuji’s little brother. From the other side of the property you have views up the ski mountain, which is beautifully lit up at night. Awesome. It’s probably a 15-minute walk to the closest lift, although the stop for the free shuttle bus is just en easy five-minute walk away. This bus can take you to any lift, ski school, gear hire shop, restaurant or bar in the village up until 9pm. 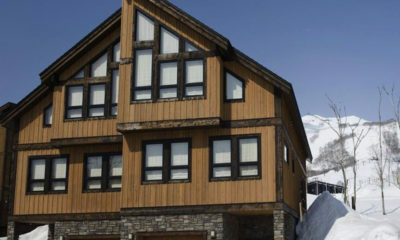 With a covered car port at your disposal it may be worth investing in a rental for your stay – that way you can pick and choose between ski slopes based on the day’s conditions, or take the kids out to one of many exciting local destinations a short drive (but a long bus ride) away. 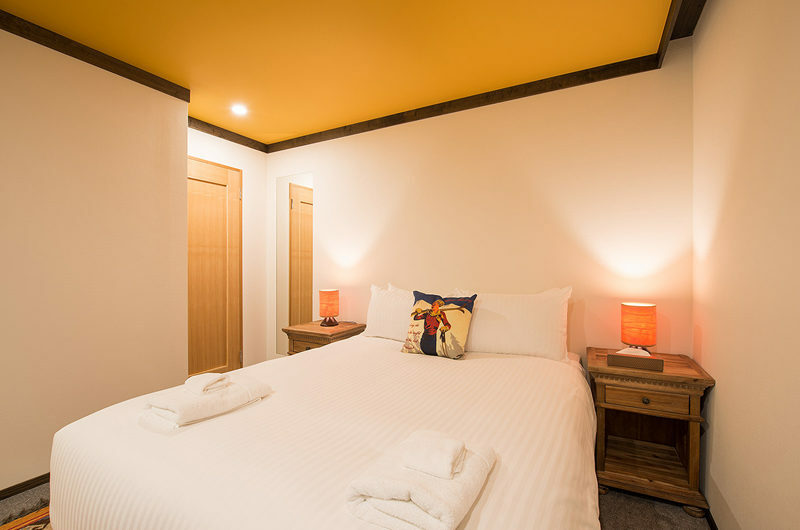 Lower Hirafu is full of hidden treasures – little izakayas, tasty restaurant retreats and even a clubs and trendy bars to keep you entertained without needing to hit the main streets up above. Some of the restaurants and bars are hidden inside old lodges, so keep an eye out for red lanterns and dimly lit signs in the snow banks. Also find one of the oldest traditional open-air onsens less than 10 minutes’ walk away. 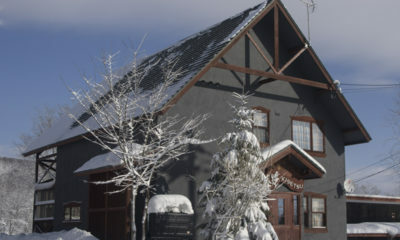 Stock up on groceries on your first day and apart from skiing you almost needn’t leave Gustav’s Hideaway at all! 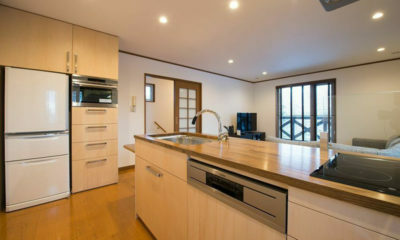 Seriously an awesome chalet in Hiafu. 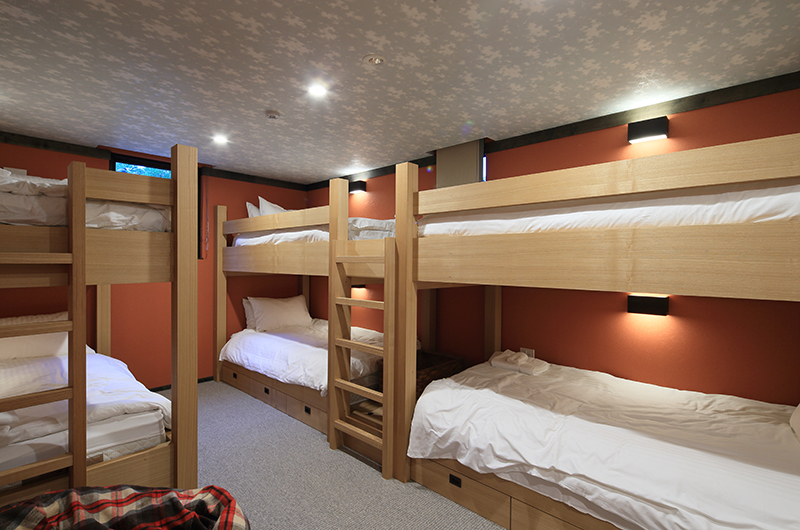 The bunk room for kids is on the entry level and perfect for 6 kids or adults who don’t mind sleeping in bunks. 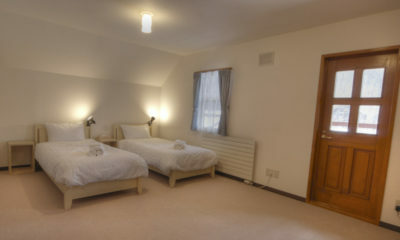 They are large single beds so very comfortable. 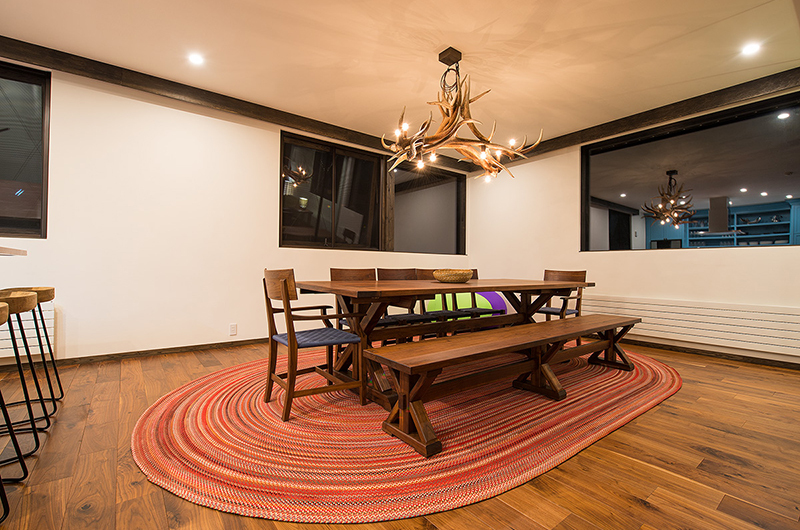 The living and dining room is on the 3rd floor and looks out to great views with a very cool relaxed vibe. 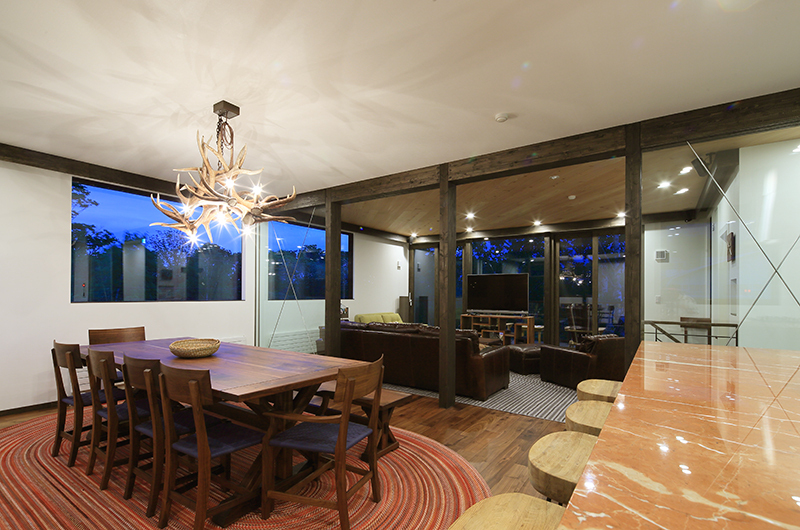 Groups love the chalet for obvious reasons! 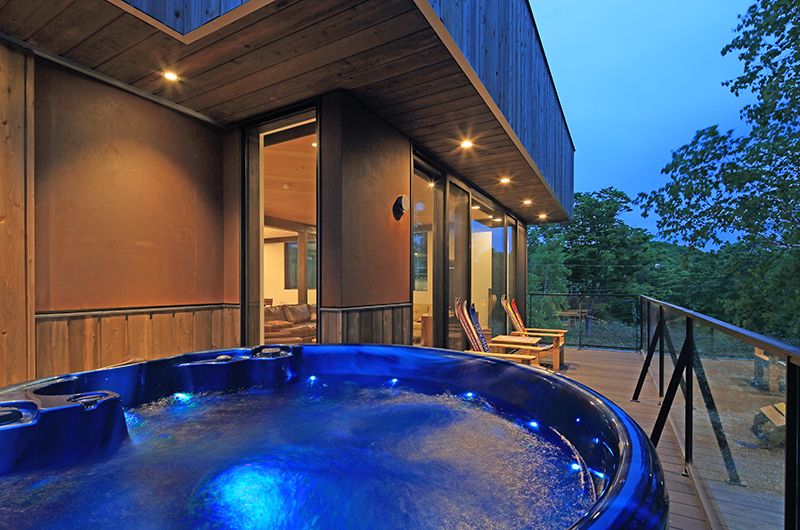 Fantastic chalet in Niseko. 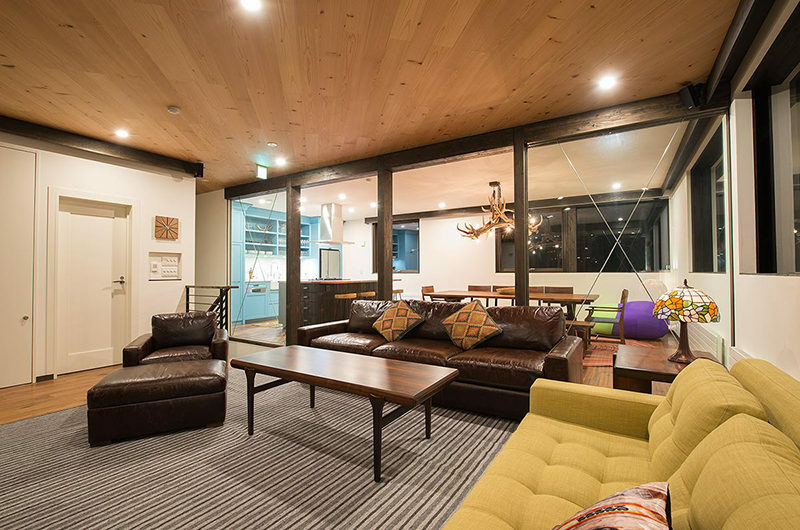 It’s perfect for large groups looking for somewhere quiet in Hirafu.